Some students were temporarily displaced as crews cleaned rooms (Steve Burns, WFIU/WTIU News). 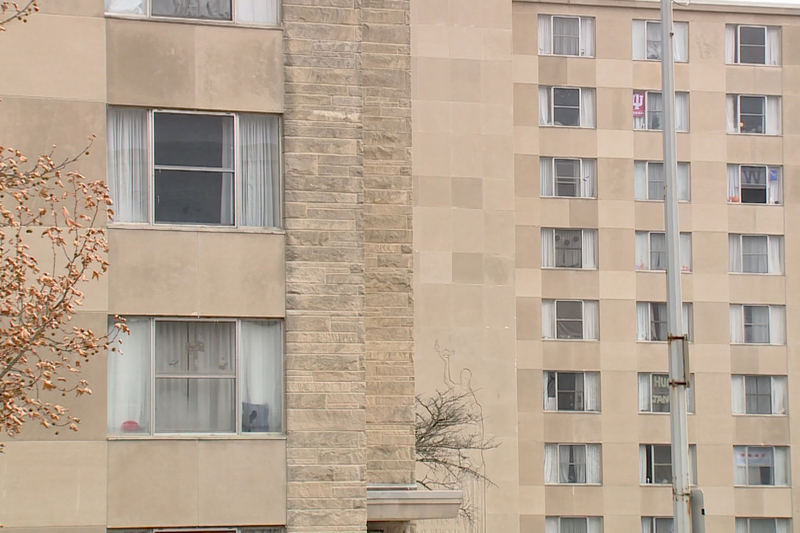 Indiana University says it's still working to clean and test some of the hundreds of dorm rooms potentially affected by mold. The university started responding to calls about visible mold in September, and set up its emergency operations center to help address the problems in October. IU says cleaning and testing will continue until all rooms are deemed safe for students to live in. But, some students are questioning how the university is handling the situation. 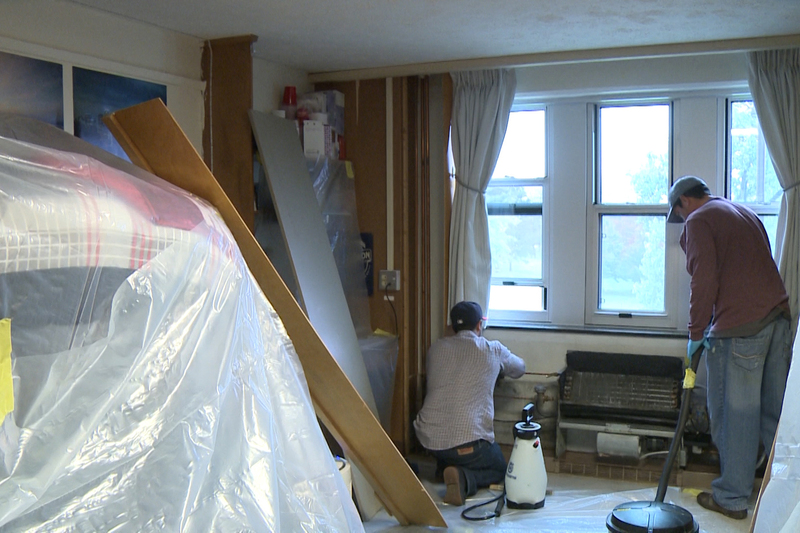 Crews cleaned all of the rooms in McNutt and Foster (Alex Eady, WFIU/WTIU News). For more than a month, IU has been working to address reports of mold in several residence halls. Most of the calls are in Foster and McNutt, where the university says 35 percent of rooms had visible mold growth. 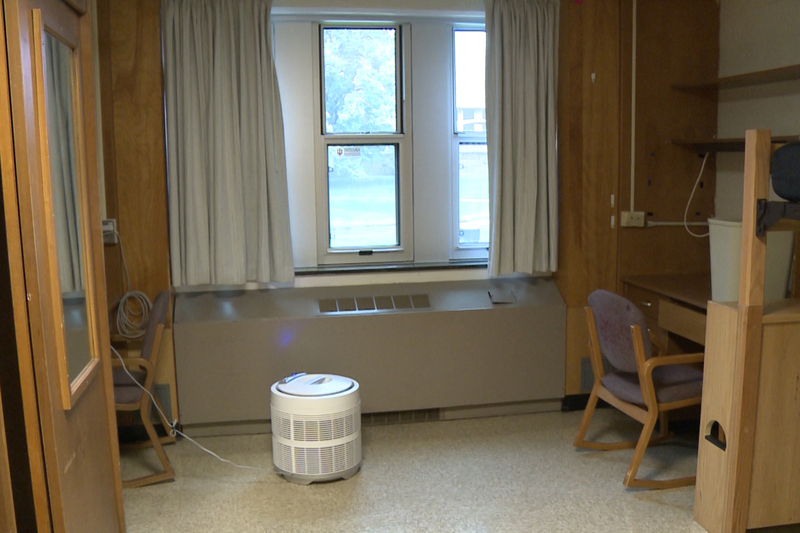 Crews cleaned every room in those residence halls, as well as the fan coils. Gary Winthrope says his room didn't have high levels of mold, but he did have to leave a few times so cleaning crews could work. "I think they have done a pretty good job," Winthrope says. "They've installed air filters in every single room, and they had a reimbursement for a lot of the inhabitants of these dorms." There are still 69 students in temporary housing as crews work to resolve the problem. IU is compensating those affected for their medical bills. 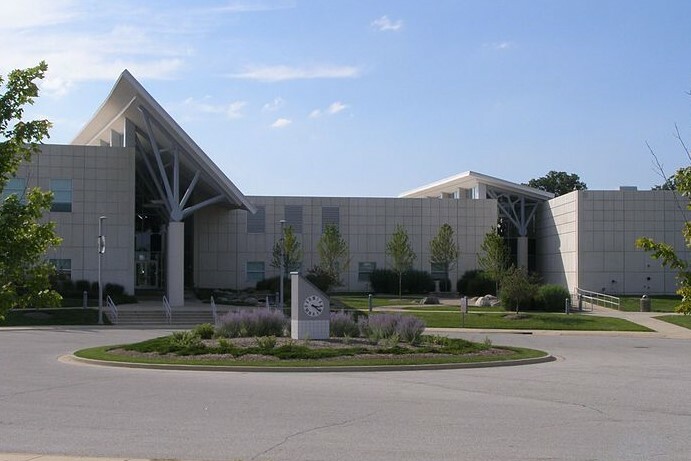 So far, the university says it spent $27,000 on health services at the IU Health Center. It's also reimbursed students for $7,000 of other medical bills. The university won't say the overall cost of addressing the mold issues. Students can also take advantage of a laundry service and electronics cleaning if their personal property was impacted by the mold. IU recently issued each student affected $3,000 in Bursar credits, but for some students, that’s not enough. Dylan Goldstein says he’s been congested since he got to IU and had to move out of his room for a couple days. "It’s awful," Goldstein says. "They’re awful. Like, they don’t answer, and they push you onto every other person. I think if they handled it more efficiently, and they communicated, and they hired a lot more people to communicate, it would have been a lot better." As part of its remediation efforts, IU installed more than 3,000 HEPA air purifiers in rooms (Alex Eady, WFIU/WTIU News). Several students are part of a class-action lawsuit filed against IU that claims the university isn’t properly addressing the mold problem and is refusing to preserve evidence documenting how it’s handling the remediation process. Court documents also question the method used to determine whether rooms are safe for students to occupy. IU hired a private company called EMLab P&K to collect air samples in dorm rooms. It then posts the so-called MoldSCORE online, which IU says indicates whether the levels of indoor mold are within a normal range. The university says 4 percent of rooms tested so far had unacceptable levels. IU Spokesperson Chuck Carney says the MoldSCORE is just one tool used to determine if the mold is still an issue. "The air sampling is essentially the final step to make sure that all of the work that we’ve done has taken care of the issue as we’ve felt it needs to be addressed," Carney says. "And then, if that doesn’t come back at the right level, we know to go back in and look and see if there’s more work to be done." Carney says IU is taking an all-hands-on-deck approach to the mold problem and will ramp up air sampling when students leave for Thanksgiving break. In addition to individual rooms, tests will also be done in common areas. Carney says the well-being of students is the university’s main priority. "We just want people to know that our primary mission is to make sure students are here to learn, that they are comfortable enough to do that, and we’re going to do what it takes to make sure that happens," Carney says. The attorneys representing students in the class-action lawsuit filed paperwork requesting the court grant a temporary restraining order and preliminary injunction preventing IU from making "misleading, inaccurate, or confusing statements to its students regarding the dangers posed by mold" and to ensure the university maintains evidence of how it's addressing the problem. 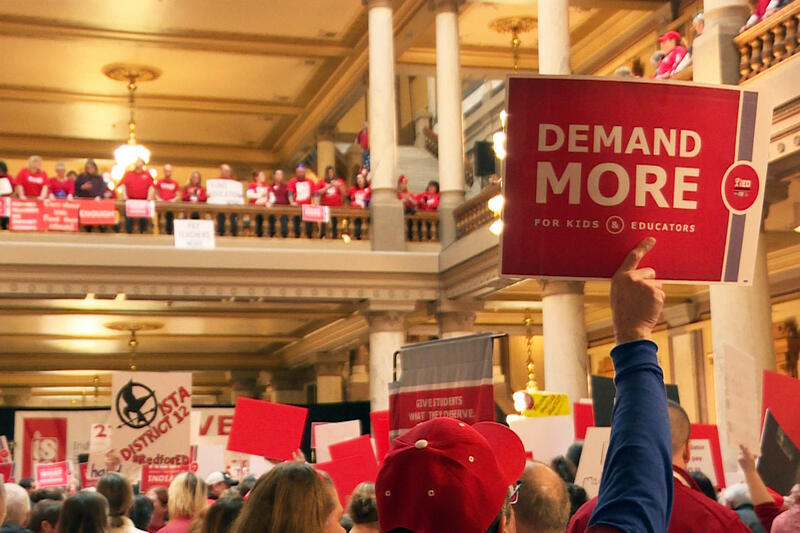 In its response filed this week, IU says it's being wrongfully accussed of providing misleading information, and dedicated a specific website to keep students and parents in the loop with its remediation efforts as they happen. It also addresses questions about the accuracy of the air sampling happening at the dorms. 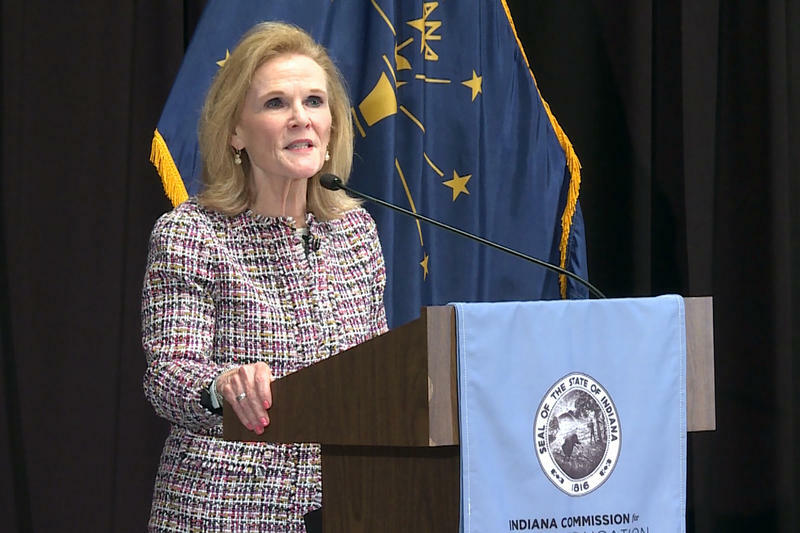 "Most significantly, the protocol Indiana University is following in this case is professionally appropriate and in accordance with industry standards," court documents state. It also outlines the specific process used to inspect and clean rooms. A hearing on the request for the temporary restraining order and preliminary injunction is set for Nov. 19. Regardless of how the case turns out, Goldstein says he doesn't feel safe living in his dorm room. "Right now, we’re in the process of actually trying to get out of our housing contract," he says. IU says it is accommodating students who wish to switch dorms as a result of the mold situation.